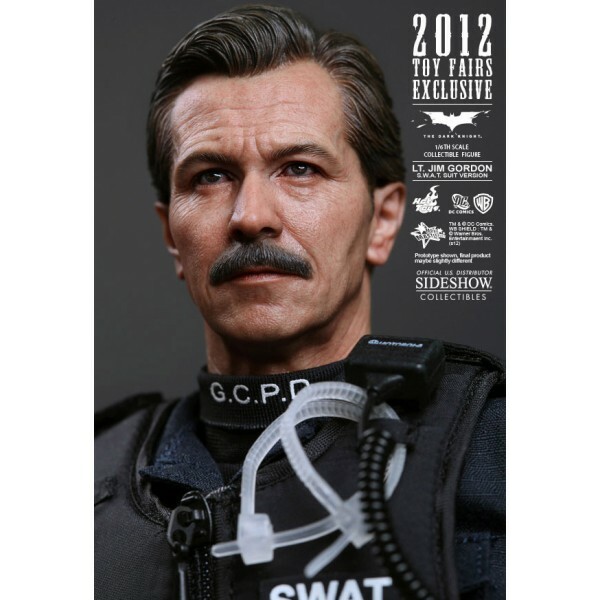 Sideshow Collectibles and Hot Toys are proud to present the Jim Gordon (S.W.A.T. 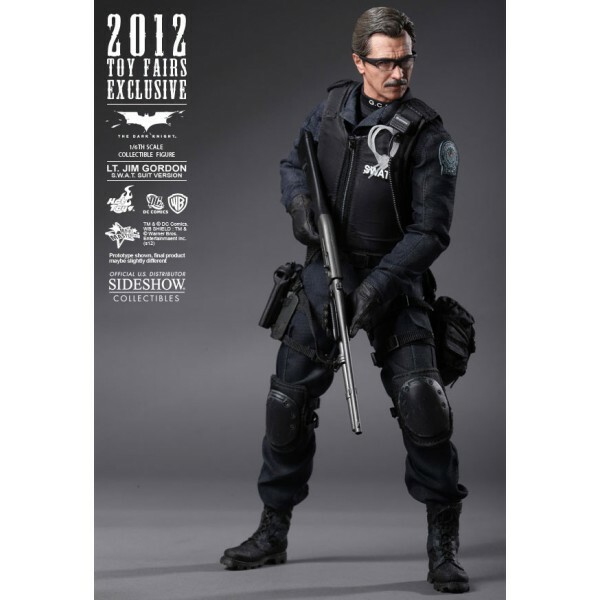 Version) Collectible Figure from the acclaimed film, The Dark Knight. 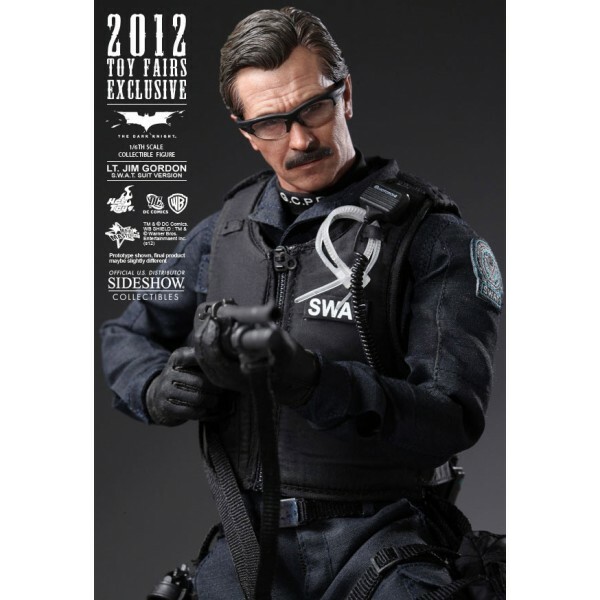 Sideshow Exclusive: The Lt. Gordon S.W.A.T. 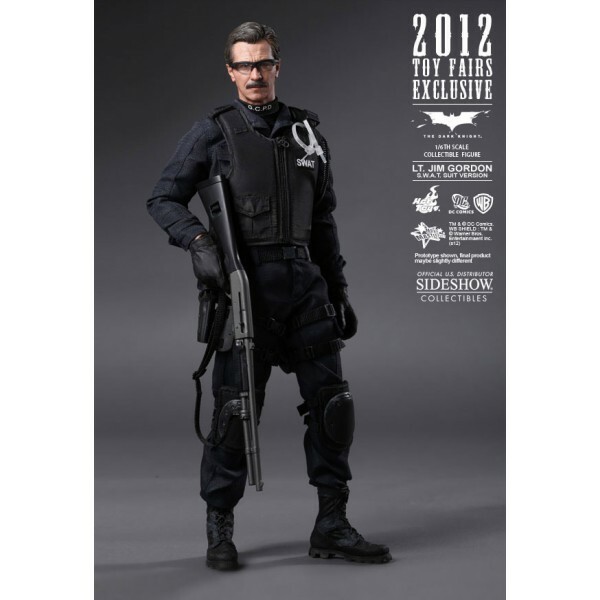 Version Sixth Scale Figure is Hot Toys´ Summer Toy Fair Exclusive, offered to Sideshow Collectibles in a highly limited release! There is some chances we will cancel your order if the number of stock we ordered is cut by sideshow.